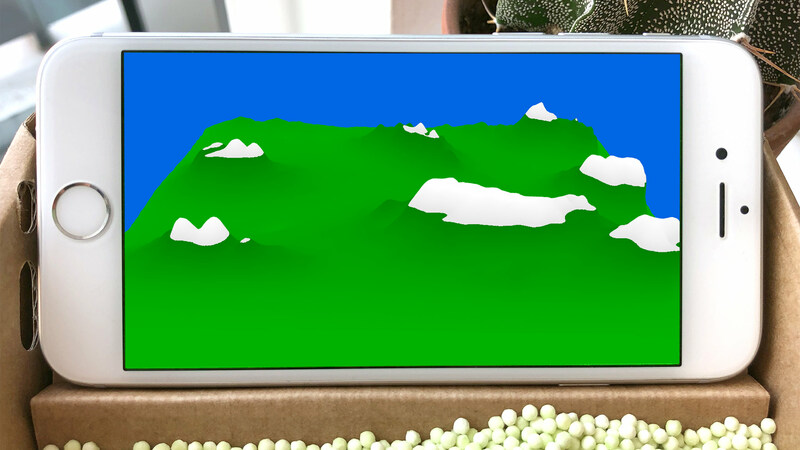 Tapioca Toys – Real-world interfaces built to mold landscapes and play music. And more. Real-world interfaces built to play music, mold landscapes, draw… for kids & grown-ups. Cardboard? The first tapioca interface ever made… out of cardboard. The Cardboard Edition is the latest-born of our tapioca interfaces. 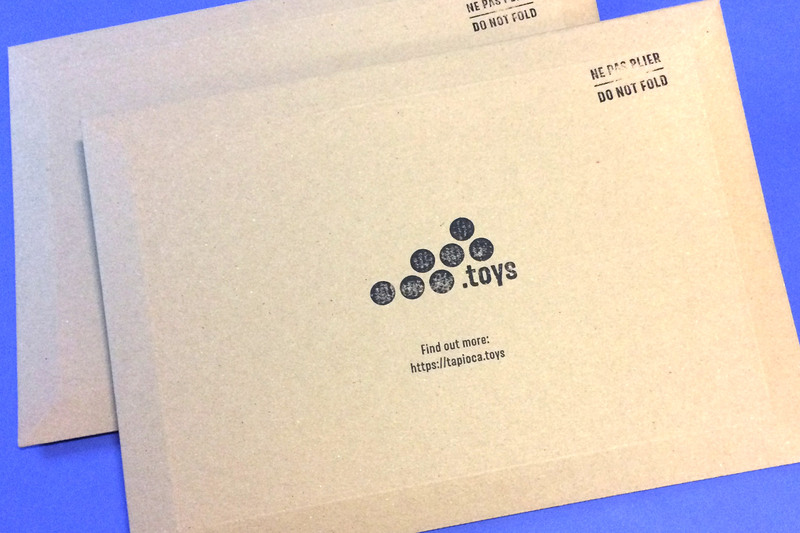 We're introducing this compact, low-cost and low-tech version that's easy for us to mail and easy for you to build. All it does require is an iPhone, and not necessarily the latest kind: versions 5 to X are compatible. To learn more about the why and the how, visit our lab article. Tangible User Interfaces? They include the mouse, the keyboard… and now the Tapioca Toys. A tangible interface gives you the opportunity to control machines with your hands, body… It translates your position and movements into a "computer language" that the software you're using understands. The Wiimote, the joystick, the gamepad are all tangible UI's. To learn more about the why and the how, visit our lab article. 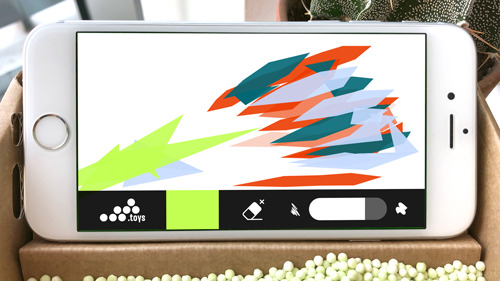 Play music, design 3D landscapes, draw ribbons are the first apps… possibilities are endless. Tapioca Toys are interfaces. They allow humans to interact with computers, phones, tablets… hence the capacity of the device to control an infinite number of apps, provided they are programmed to use Tapioca Toys as a means of interaction. Right now we've got three apps that are up and running on the App Store. Design 3D landscapes simply by filming sand, rice, tapioca… or anything else that you can mold. Draw infinite, colourful ribbons simply by moving moldable material around. Are you a developer? We've got something special for you. Are you a creative coder? A computer-savvy musician? 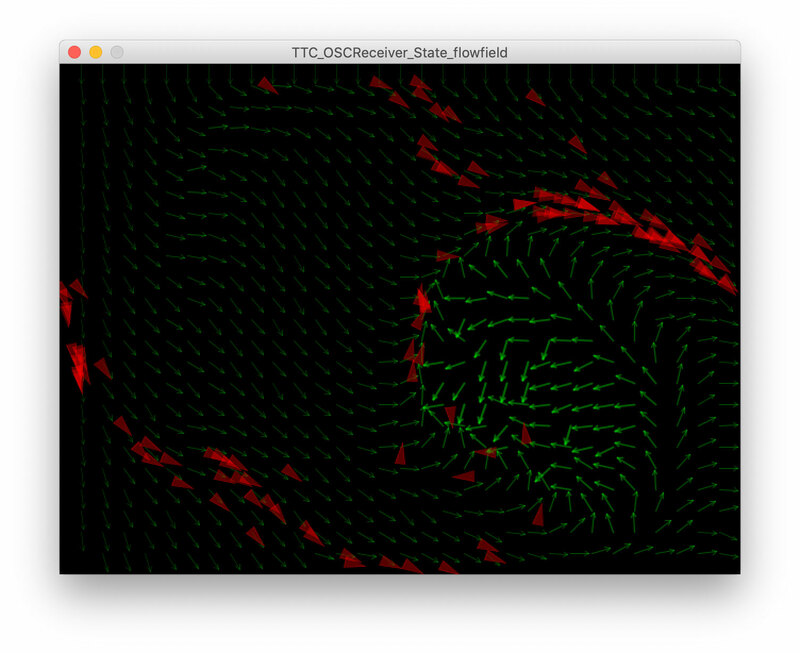 Using Processing? PureData? VVVV? OpenFrameworks or even Cinder? Here is what you need in order to use the Blob and State data originated in your Cardboard, gathered by your iPhone and sent over the Wifi. Our OSC Blobs and OSC State apps send data over the Wifi and at UDP protocol speed (that means fast!). Libraries exist in almost all creative coding frameworks… such as Processing, which we made samples for. Get it from the App Store. The OSC (OpenSoundControl) protocol is super easy to use. Our messages have unique address patterns /tapiocatoys/blob and /tapiocatoys/state and use the 14041 port number. 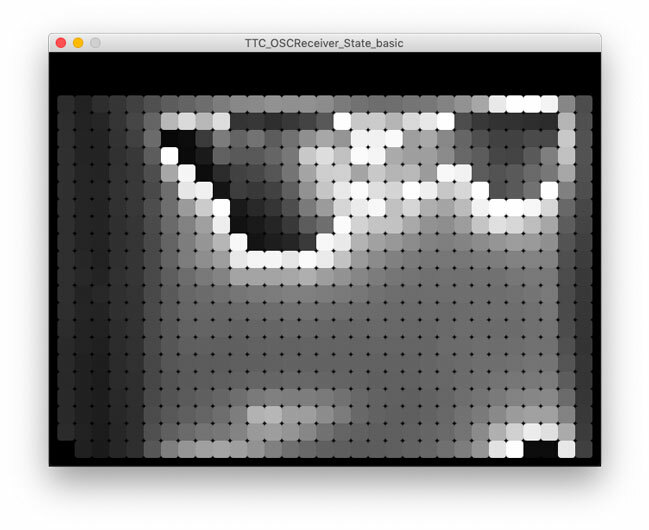 Get our Java-Processing sample from Github to use OSC Blobs app data. Are you an iPhone developer? Get our C++, Cinder-based Blobs Sample from Github and start coding your own Cardboard apps for iPhone in no time. Get your own. Via first-class, international mail. To get the kit, either order hereunder or browse to our secure Gumroad online shop. It will be sent to you via snail mail in a protective envelope. Oh, was it just in the mail? Here are the build instructions. Ready to start playing? Grab your phone. Get the apps. And share! Get in touch. We'll get back to you as soon as possible. We love to help out whenever we can and we love to hear feedback. We'll try and reply as fast as possible.